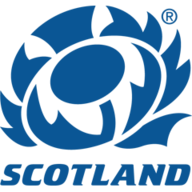 Scotland entertain Ireland at Murrayfield on Saturday (kick-off 2.15pm) in the second round of this year's Six Nations. The Scots enter this game on top of the table thanks to a 33-20 bonus point victory over Italy last weekend while the Irish will have been licking their wounds after a brutal 32-20 defeat to England in Dublin. Will the hosts maintain their unbeaten record and bolster their Championship title hopes or will the visitors conjure a rapid return to winning ways and breathe life into their own title chances? Here's some of the talking points ahead of the latest battle for the Centenary Quaich. The Scots' victory over Italy last weekend saw them extend their impressive record at Murrayfield under head coach Gregor Townsend. They have lost just two of nine games played at Scottish rugby's HQ since Townsend took the reins and those defeats came at the hands of southern hemisphere giants New Zealand and South Africa. The last Six Nations rival to taste victory at Murrayfield was England in 2016 - also the last time the Scots failed to register a try at home - while Ireland's last success in the Scottish capital was four years ago. While Italy's ability to restore some respect with three tries in the last 10 minutes raised some question marks about the home side's defence, it must also be noted that the free-scoring Scots are also averaging over four tries a game at home in the Townsend era. A nation now expects and with three games at home in this year's Championship, fans will be dreaming of a first Championship title since 1999. Will Russell rule over Sexton? Scotland's Finn Russell produced a dazzling display against Italy last weekend that showcased his brilliant play-making ability and underlined his status as one of the best in the business. Whether it was an inch-perfect cross-kick or a deliciously delayed defence-splitting pass, he was central to four of his side's five tries and kept a perennially confused Italy defence guessing throughout the contest. Scotland's Finn Russell delivers a no-look pass during his side's 2019 Six Nations victory over Italy at Murrayfield. His Irish counterpart Johnny Sexton was unable to hit similar heights against England at the Aviva Stadium largely due to the intensity of the visitors' performance but it must also be remembered that it was his first outing in just over a month due to a knee injury. They provide a fascinating contrast in styles with Russell seemingly willing and able to try anything from anywhere with the apparent blessing of his coach and the significant support of his forwards. Sexton is a little more calculated but no less talented or influential, as his recent and wholly deserved World Rugby Player of the Year honour illustrates, and equally reliant on a formidable forward pack laying the foundation. Townsend is under no illusion as to the task facing Russell but has backed his man to rise to the occasion. "Finn is up against not only the best stand-off in the world but the best player in the world," he said. "You want to take on the best players. Finn always seems to rise to the occasion, the bigger the game, the better the stand-off opposite him - and Sexton is the best in the world right now." Will experience prove key for Scotland? Despite the heroics of Blair Kinghorn in dispatching of Italy, Gregor Townsend has opted to replace the Edinburgh youngster with Sean Maitland in the starting XV. A return of six tries from eight caps was not enough for Kinghorn to keep Maitland out of the side, and it is not too surprising given the British & Irish Lion started seven of Scotland's last eight Tests and scored six tries of his own in his last nine internationals. By creating a back three of Maitland, Tommy Seymour and Stuart Hogg, Townsend is putting his faith in experience, with Kinghorn providing his side with the necessary strength in depth that has been lacking in the past. The aforementioned trio boast 150 caps and 49 tries between them, having Maitland's know-how back from the start might prove the difference against an Irish side bristling with big-game pedigree. Townsend said: "We picked up two injuries from last week with WP (Nel) and Sam (Skinner) missing out, which is disappointing for us and them, but have had a boost with a number of proven Test players returning from injury and available to us this week. Will Schmidt show Ireland have the variety? Ireland's over-reliance on the box-kicking of Conor Murray has been the subject of debate this week. 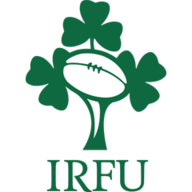 England negated a very successful tactic used in the past, and Schmidt must find more guile in other areas if they are to burst Scotland's bubble. Chris Farrell replaces the hamstrung Garry Ringrose at outside centre and Robbie Henshaw was also ruled out with a dead leg. It means Joe Schmidt sees his resources severely tested ahead of the fallow week in this year's championship. The Ireland head coach bristled when questioned over how varied Ireland's game has been under his stewardship. "I'd be interested to know how they would describe our plan A," he said. "I do think we always get a lot of advice. "There wouldn't be too many weeks that go by that I don't get a letter suggesting somebody play here, or suggesting our set plays, or suggesting something. "And that's when we are winning. When you lose, you expect at least three letters. People will be saying a lot about how we are playing, about a plan A, B, C or D and what they look like, so I'm not sure how they summarise plan A." By changing a third of his side ahead of the trip to Murrayfield, Schmidt knows the value in showing another way of winning. Will history be made with another home win? Romain Poite was the referee the last time Scotland beat Ireland in the corresponding fixture two years ago, but it was the hosts' efficiency that was remembered from that day. Thirty-two missed tackles compared to Ireland's nine pointed to how clinical Scotland were with their finishing, but another victory on Saturday would break new ground for Townsend's side. The Scots have never won their opening two Six Nations games, while Ireland have never opened with back-to-back defeats. It is over two decades since Ireland were whitewashed in 1998. Twenty-three years ago - when England were taken all the way in 1996 - was the last time Scotland made it two wins from two. But an eighth Murrayfield win in a row would equal their longest run of consecutive home wins in the championship since the stretch between 1972 and 1975 in the Five Nations. Replacements: 16. Fraser Brown, 17.Jamie Bhati, 18. D'Arcy Rae, 19. Ben Toolis, 20. Rob Harley, 21. Ali Price, 22. Pete Horne, 23. Blair Kinghorn.